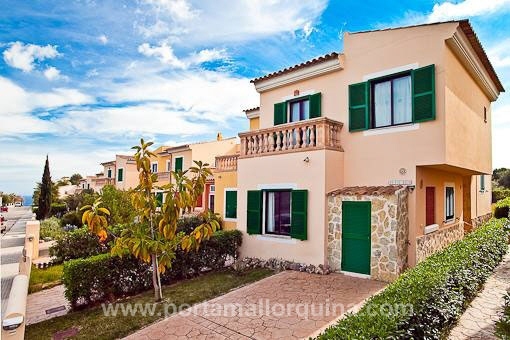 Porta Mallorquina - your leading real estate agent in Cales de Mallorca! 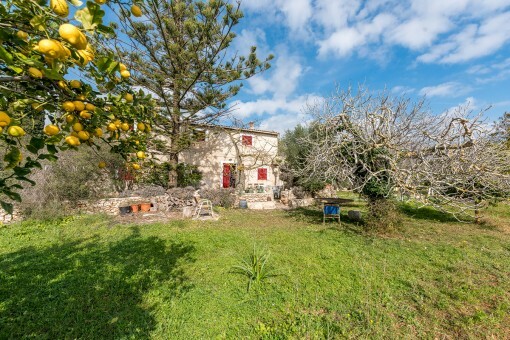 You are looking for a property for sale in Cales de Mallorca, or have a question regarding our real estate offers in Mallorca? 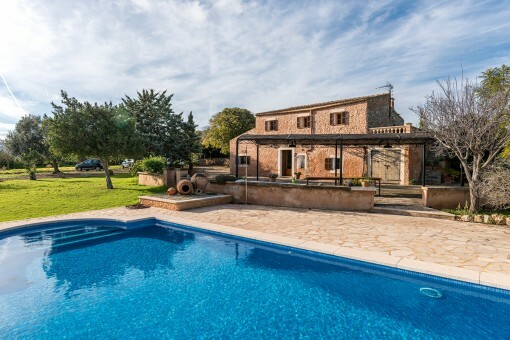 You were not able to find the ideal house in Cales de Mallorca? Then please call us on +34 971 698 242, or send us an email to info@portamallorquina.com. 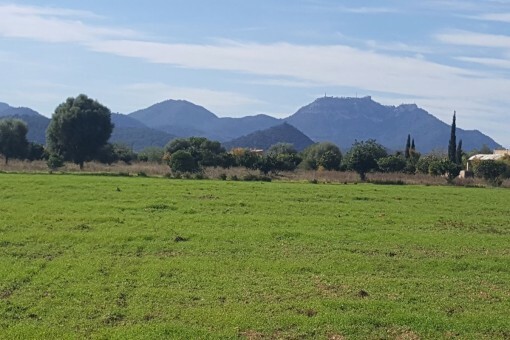 Our Porta Mallorquina real estate agents in Cales de Mallorca will be pleased to asist and will help you find your dream property. Cales de Mallorca is a tranquil resort on the picturesque south-eastern coast of the island. About 1000 people live here permanently surrounded by unspoilt nature. Cales de Mallorca has three idyllic sandy beaches embedded in coves: Cala Domingo Gran, Cala Domingo Petits and Cala Antena. Above them waves the Blue Flag, which ensures excellent water quality, sanitation and bathing safety. The three beaches are situated within a landscaped promenade, which offers beautiful views of the rocky coast to the Punta de n 'Amer. North of the village an extensive nature reserve begins with further wild and romantic coves (Cala Setrill, Caló des Saldat and Cala Bota), which are only accessible by dirt tracks or by boat. A longer hike leads to the popular beach of Cala Varques, which also attracts alternatively minded permanent guests. 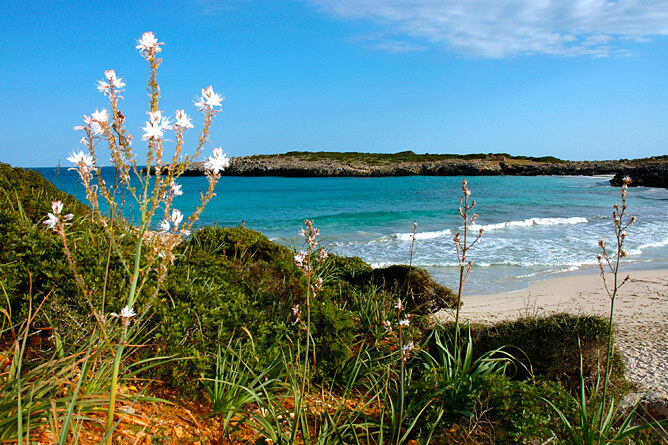 The area between Porto Cristo and Cales de Mallorca is considered the richest cave region of Majorca. The elaborately staged stalactite formations of the "Coves dels Hams" and the "Cuevas del Drach" in Porto Cristo have drawn millions of visitors under their spell. Less well known is the swimming cave "Cova d'es Coloms" about 5 kilometres north of Cales de Mallorca. Those knowing the entrance can swim in from a small bay and explore the spectacular stalactite formations on their own. Three chambers of the cave are accessible through swimming across a small lake. You can also join a guided tour to admire this gem of nature still unspoilt by tourists. A little further north is the "Cova d'es Pirata", which was discovered in 1884 and in 1902 intensely investigated. The cave is located on private property and can only be visited on a guided tour. It seduces you with gigantic stalactites and a large underwater lake that is sub-aquatically connected to another cave system. 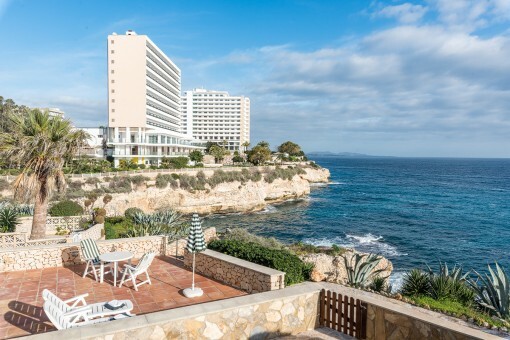 CCales de Mallorca is a straightforward place, where the well-kept hotels and apartment complexes first catch your eye. In the first line to the sea you also find luxury accommodations and houses in the upper price segment. 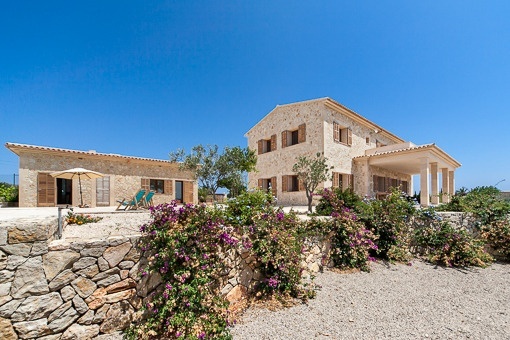 Cales de Mallorca is not just a dream for travellers, but also for (long-term) residents. The latter enjoy the absolute tranquility in the midst of unspoiled nature. In the summer season it can get loud, when the numerous holiday bars and restaurants are revived. From October to April, the residents have their "bays of Mallorca" to themselves again. In the centre of Cales de Mallorca you will find the essentials: a bank, a pharmacy, doctors, and some bars and restaurants. For larger purchases, you do not have to drive far. For Manacor, the second largest town on the island can be reached in just 10 minutes. The popular Sunday market in nearby Felanitx is also highly recommended. Those who prefer sports to shopping, also don’t need to go far. In Cales de Mallorca itself, there are tennis courts and mini-golf. Numerous water sports are on offer here - at least during the summer season. For sailing the nearby marinas of Porto Cristo and Porto Colom are ideal. And golfers can reach the manicured 18-hole course "Vall d'Or" within 15 minutes. 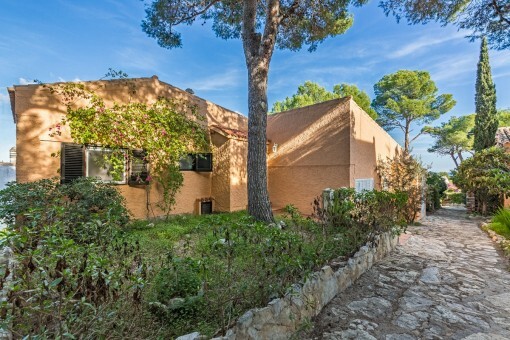 you are reading: Cales de Mallorca: Property for sale in Cales de Mallorca by Porta Mallorquina Real Estate · Porta Mallorquina Real Estate Rating 4,8/5 by 200 testimonials.